I bought this book a year ago by Tomoko Fuse (布施 知子) called “Kusudama Origami – Hanakiriko” (くす玉おりがみ – 花切子). I can read what the Japanese says, but I don’t know what it means! Fortunately, the book uses diagrams rather than explanations to construct models, hence why I bought it. Some of the models are pretty impressive, and recently I managed to make some of the models. This model is called “Mitsuya Kiriko” (三ツ矢切子) – Again, I don’t know if that translates to anything, so I just to the translated reading of the phrase. It uses six square pieces with eight triangular connectors to form the model. Cutting is definitely involved as you need both square and triangular pieces, however glue is optional. Personally I use glue to make it more secure. 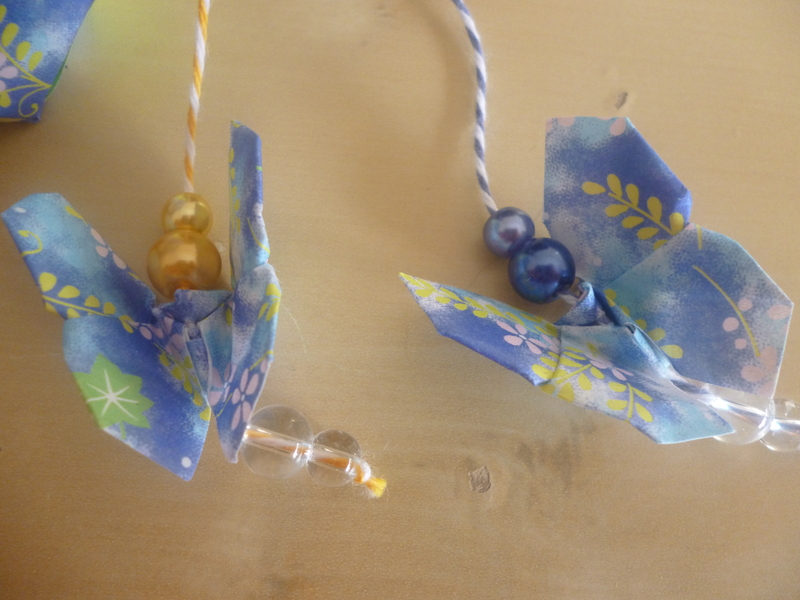 I had two leftover pieces of the pattern chiyogami left, so I made Yoshizawa butterflies out of them (the v2 version) and made them hang off the coloured twine, with matching coloured beads. I love how amazing it looks when the entire thing is done. It makes a lovely decoration to hang off a door handle or something. I’m part of a group on Facebook called “Origami Kids” (the group is open so anyone can view it) where people post their creations and/or tutorials on a regular basis. Quite a while ago, I came across a post about a rosebud and calyx tutorial (the tutorial creator and the person who designed the model can be found following this link) which teaches how to make a single unit, as well as how to stick units together. I had to spend most of my time cutting the sizes of squares required before I could make a start. The tutorial is super easy to follow, making units will be no problem! Assembly is by sticking sides of calyxes together. The tutorial does suggest using 14 units total, but I couldn’t make the model work like that. 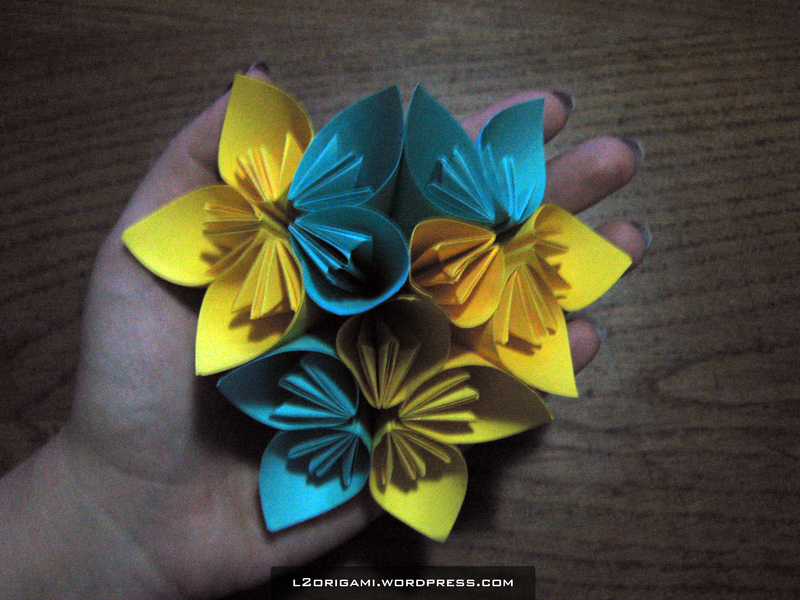 Instead, I improvised and made a kusudama using 12. Stringing it up is fairly easy too. 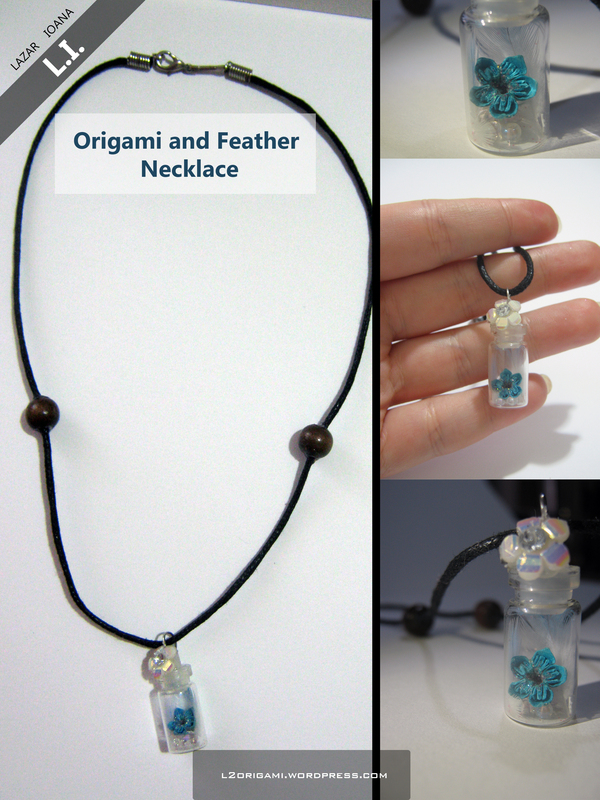 A simple necklace with mini-origami and some parrot feathers. Ilyere here, with a informative (?) and long (sorry) post about kusudamas. 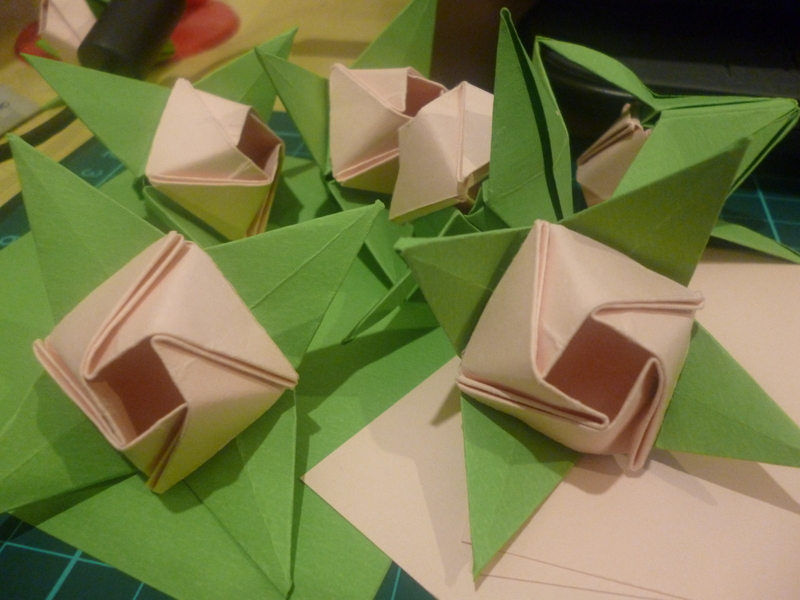 A foreword though, the word kusudama is commonly associated with the flower, and a kusudama ball with the modular that arises from gluing flowers together. However, a kusudama translates literally as (薬玉; lit. 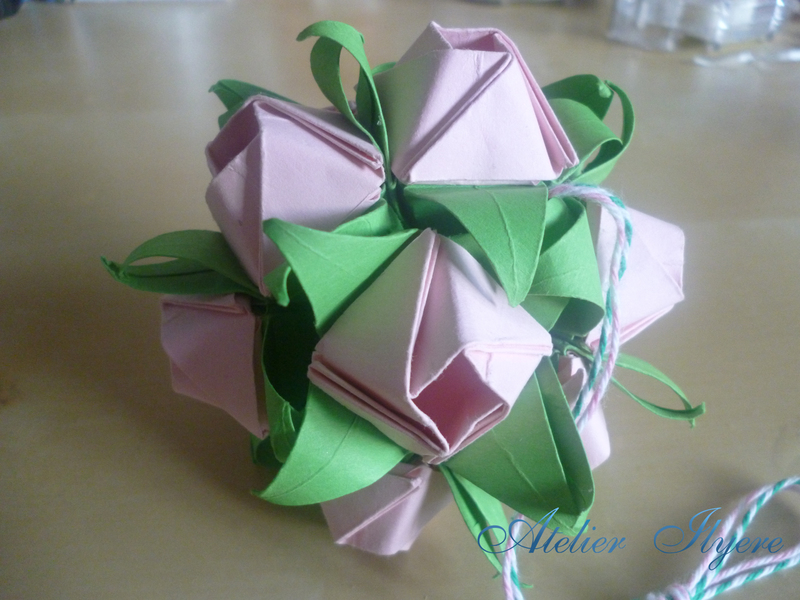 medicine ball), so the term ‘kusudama ball’ is rather redundant. Oh well, the more you know! 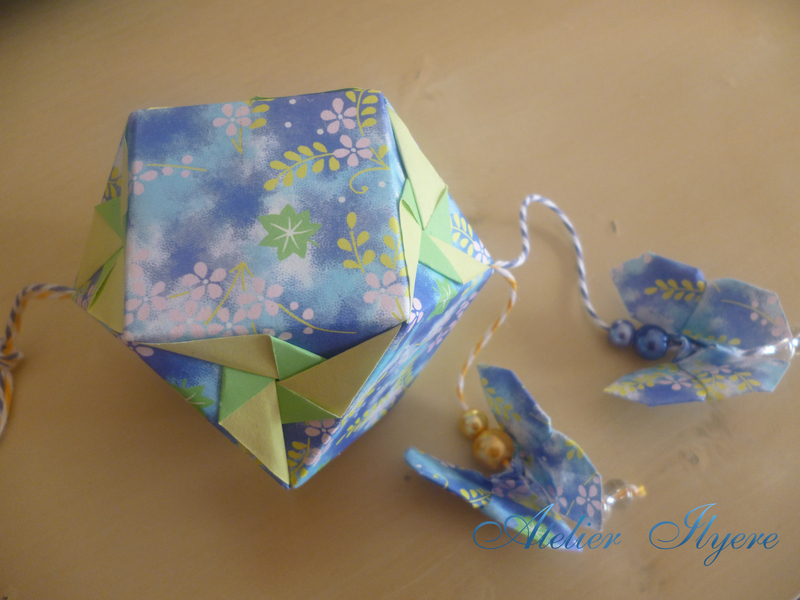 If you’ve never made a kusudama before, I did a tutorial on how to make a single flower ages ago, although it was done in an older format. 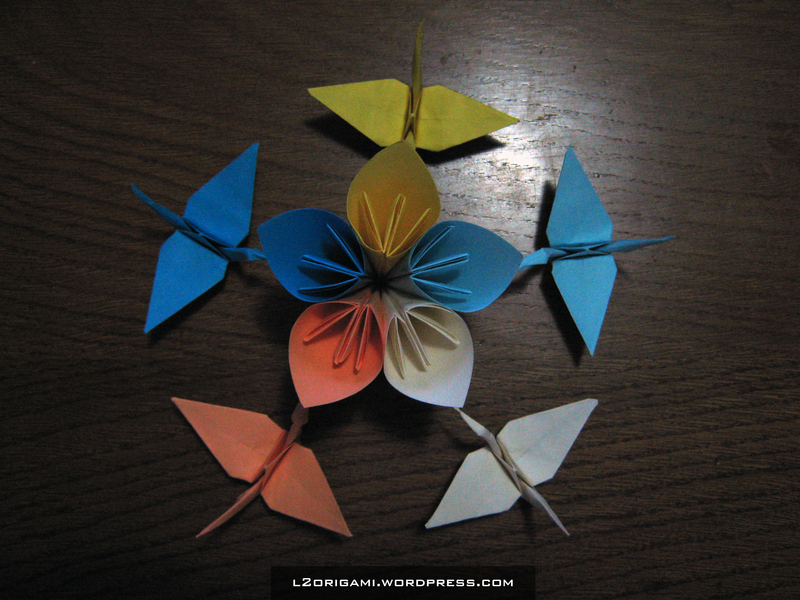 Anyway, here’s some tips to make your average kusudama stand out. Firstly, what kind of paper do I use? Well, any sort of paper is okay. Patterned paper such as the scrapbooking kind works especially well. If you want to mix colours and patterns together, go for two, or six kinds, that way you can keep the symmetry of the ball. If you don’t care about symmetry, well that’s fine too! Go crazy with the patterns if you like it. Secondly, decorate your unit. You can use superglue to stick buttons to the centre of your kusudama units to cover the gap in the middle and give it a little appeal. Use any kind of button you want, be it large, neon-coloured, or even pearls! 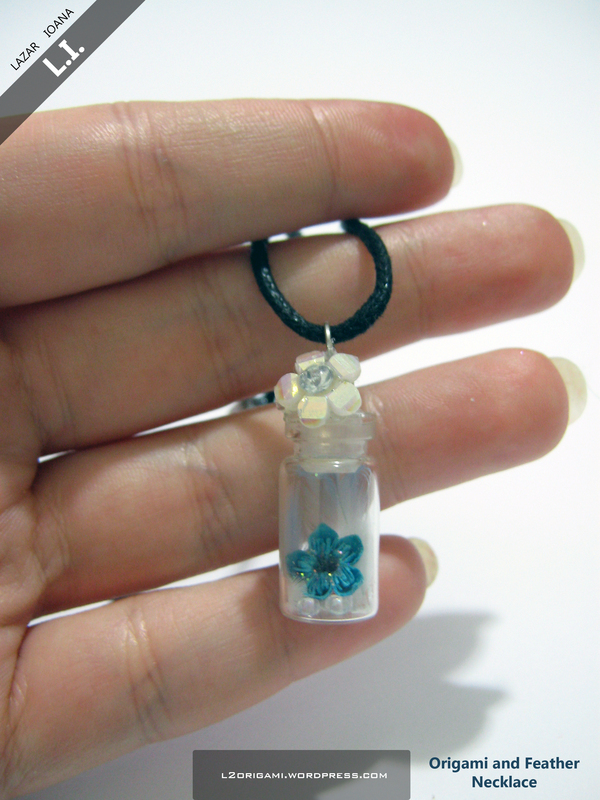 The other option I’ve seen is to insert a quilled flower in the middle of the unit. 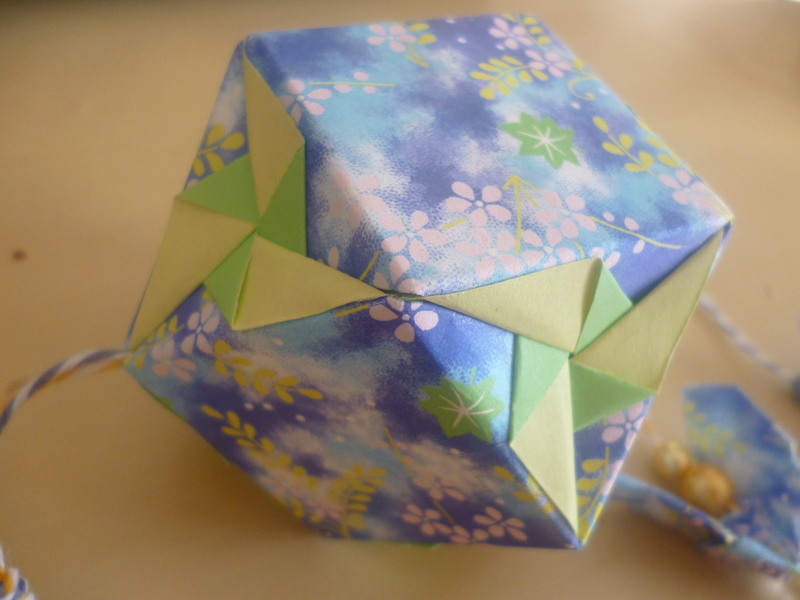 Thirdly, string the kusudama with anything you like, as long as it stays in place. Popular choices are twine and ribbon. Thread is okay, but you will need lots of threads bundled together to make it hold up okay. Double knot the top to make a loop to hang the kusudama, if you want. Lastly, decorate the string so that there is something dangling off the end. Usually beads do the trick. 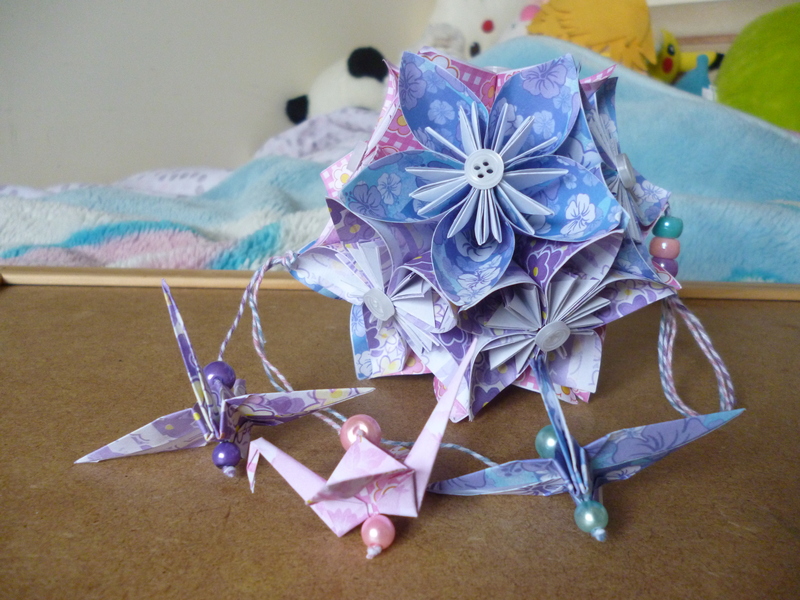 You can also add cranes, or even more kusudama units! 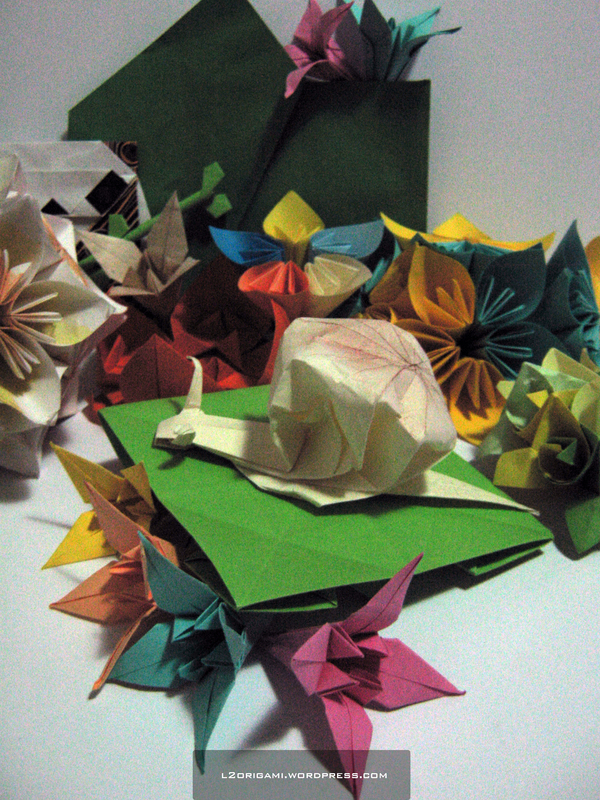 “Origami Snail in a Flower Garden” – can you find the hidden character?